The American Academy of Pediatrics has recognized the neurofeedback as a level 1 treatment for ADHD, which corresponds to the highest possible level of efficiency. And the results are permanent! 50% of children with learning disabilities bring this disorder into adulthood? The number of prescriptions for Ritalin increased by over 3,500% in 20 years? In 2010 in Quebec, more than a million of methylphenidate prescriptions were made? 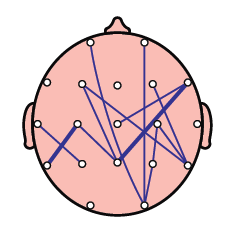 The first step is to do a quantitative electroencephalogram (qEEG). A 19 electrodes cap is placed on the head of the person and will measure the brain activity in 2400 locations with with very high precision. The system also identifies brain areas between which communication is not optimal. Each brain region is involved in specific functions (attention, concentration, memory, etc.). If the brain activity is abnormal in some areas, neurofeedback trainings allow to bring back the activity towards normal. Neurofeedback is a technique used to stimulate or calm specific brain regions. The electrodes will read in real-time the brain activity in the areas to train. A screen located in front of the person allows her to view a video that will play only when the targeted brain activity improves. When the training begins, the brain will take a few minutes to understand which brain region is responsible for making the video play. Once this is understood, the brain will, by itself, improve brain activity in those specific areas in order to play the video. For instance, if the trained regions are responsible for concentration, this function will be improved permanently. Neurofeedback is known as an effective treatment for attention deficit disorders. In 2012, the American Academy of Pediatrics has recognized the approach as a level 1 treatment, which is the same efficiency level as medication. But neurofeedback has the advantage of causing no side effects, and producing durable results! For these reasons, neurofeedback is now currently gaining a lot of popularity.